UK Oak has been supplying treated softwood to residential and commercial customers for decades, delivering durability, strength and character. Not only is pressure treated softwood able to withstand much more force than untreated wood; it delivers a sturdier structure that is essential for small and large construction projects. We stock a huge collection of treated softwood sleepers, including green and brown pressure treated sleepers, planed and bevelled, and planed all round. If you’re unsure on the softwood that’s best suited for your DIY or construction project, please do not hesitate to send us a message or give UK Oak a call, as we’d be glad to help. Why choose us for treated softwood? 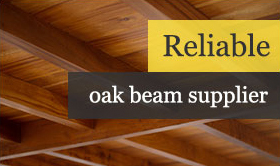 We’re leading suppliers of air dried and structural oak beams and we have a huge range of treated softwood available. We’re also able to hold stocks of our listed sizes in large quantities. Our softwood has been used to complete garden redesigns and internal house reconstructions, so if you’re looking for the highest quality softwood that’s able to stand the test of time and deliver strength, durability and style, UK Oak will not let you down. 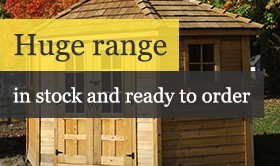 In addition to our beams and sleepers we also stock many convenient products, including gates, decking kits, raised bed kits and fencing rails, so we’re confident you’ll discover everything you could possibly need on our website. Treated softwood is lighter and more cost effective than hardwood, but it’s also easier to work with and can easily be protected against the elements when it’s been treated. It’s also important to understand that softwood comes from coniferous trees and these grow faster so they’re naturally more economical, and with UK Oak you’re guaranteed timber that comes from sustainable sources. We provide dedicated crane-offload deliveries throughout the UK and we also have access to several reliable delivery networks. No matter how small or large your gardening, landscaping or home construction project is, we can ensure you have everything you need to transform your beautiful home. 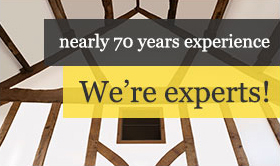 We are softwood and hardwood specialists, supplying our products and services to many homes and businesses since 1947, and we pride ourselves on delivering excellent customer service and high quality products. You can learn more about us and how we can help you by browsing our treated softwood, but should you need any further information, please do not hesitate to call us on 01536 267107. Alternatively, you can send us a message and we’ll be back in touch as soon as possible.